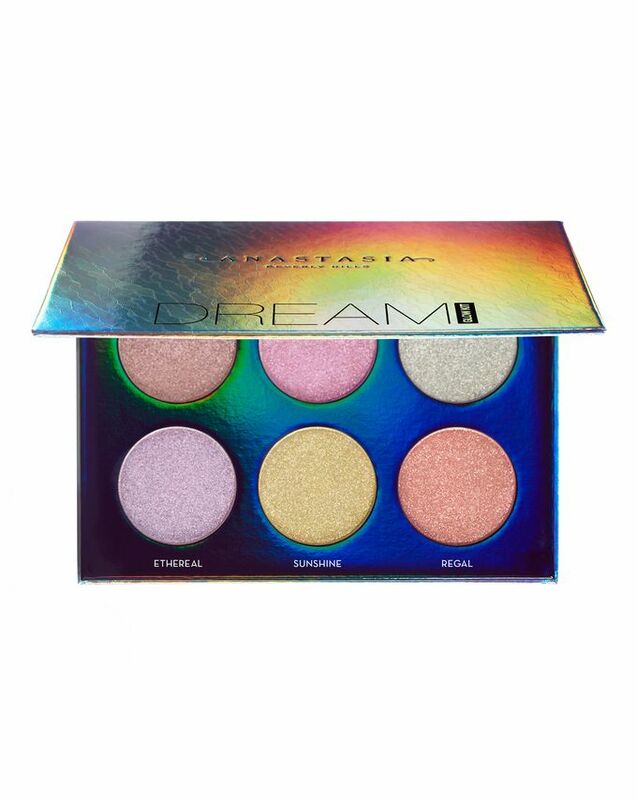 Your wildest highlighter dreams are about to come true: Anastasia Beverly Hills’ newest Glow Kit is the most magnificent yet… With a sumptuous sextet of 'full spectrum' iridescent and metallic-finish powders, this is a definitive make up must-have, redefining holographic hues for undreamed levels of radiance. The swoon-worthy shades of opalescent pearl, kaleidoscopic lavender, glimmering gold and radiant rose are buttery soft and buildable – they’re luscious alone or can be layered up for an enviable, heavenly strobe (for an out-of-this-world finish, apply with a damp make up brush). This perfect, dreamy palette is to-die-for; with six stunning shades of ethereal illuminating powder, each can be applied dry – or with a dampened brush or make up sponge – to lend a subtle lustre or dramatic, after-hours luminosity. They also double as exquisite, eye-enhancing shadows – just apply all over lids or concentrate the shimmer on the inner corners to create a pretty, wide-eyed look. Universally flattering, this sumptuous sextet comprises ‘Wish’ (a pearl base with violet sparkles), ‘Unicorn’ (lavender with pink shimmer), ‘Magic’ (an icy base with kaleidoscopic clusters of red, gold, pink and blue), ‘Ethereal’ (cool-toned lavender duo-chrome with a blue reflective sparkle), ‘Sunshine’ (lavender with a golden shift) and ‘Regal’ (golden pink with specks of pink, gold and blue). Providing heavenly highlighting for face and eyes, the powders also blend beautifully with oil, making them perfect for use on the body. Layer shades together or wear them separately on face, eyes and body. For even more glow, apply with a damp make up brush. I love this palette so much and since its arrival it has only used it. Also as eyeshadows. Amo questo illuminante mi ricorda i colori di un unicorno.Spettacolare, l'ho comprato in offerta, felicissima. ***** I love this highlighter, it reminds me of the colors of a unicorn. Spectacular, I bought it on offer, very happy. Beautiful packaging which does most of the shining with this. Highlighters are very fine and unremarkable on the skin. Disappointing. This palette is terrible, sparkles alone but has zero pearl shine. Love love love!!!! Need it allllllll!!! To be honest I am a bit disappointed with this highlighter palette. I am not getting a smooth highlight on my face, because the glitter particles are too large and visible. 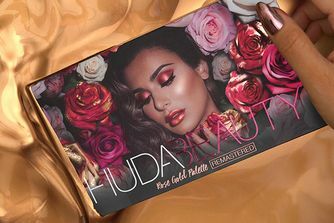 It's not wearable for me all over my face, so I use this palette as an eyeshadow palette. Even if I fix the shadows with MAC Fix+, I often find myself cleaning my face from the glitters during the day. Every pan looks really stunning, the colours are beautiful and different in the pan. Once I blend them on my eyes, they look very similar to each other. The only exception is the shade "Unicorn" which is a very vibrant and stunning pink, however the other colours look the same on me (light pink). The powder formula in this palette is soft and blendable and there is no kickback in the pan. I wish Anastasia would have left out the glitter particles. The delivery was amazing. This is the first time I ordered from Cult Beauty, and I was so happy that they didn't send the parcel with the Local Post Office but with courier. The courier called me before to check whether I am on the shipping address at that time, and we agreed on the exact delivery date. The package was bomb-proof and the palette was in perfect conditions. Thank you Cult beauty. I love IT. This glow is incredible!! This palette is amazing! The pigments are so vivid and really give me a major shine! I’ve even tried mixing two together and it becomes a beautiful colour! Only annoying thing is you literally get glitter everywhere - it ended up on my arms, my bed, even my forehead! The price is a bit much but I guess it’s in line with other competitors. Other than that it is amazing! I’d definitely buy it again. This is the most blinding and beautiful highlight palette. I have Aurora and Sugar Glow Kit but this is insane. Love the pigmentation, colours, glitter, everything. The best palette ever (for my taste).